Why you should use encryption in sensitive environments. Personally identifiable information (PII) is any information which, either on its own or combined with other information, can be used to distinguish or trace an individual's identity. 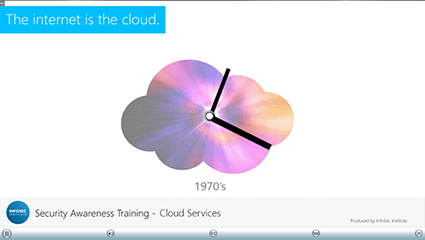 This micro-learning module highlights the importance of enabling automatic updates. Cloud services include any service available via the Internet through a third-party’s server. This module will define the cloud and different types of cloud services available, and explain the benefits and risks of cloud-based services. This module will cover the basics of Personally-Identifiable Information (PII) security for managers.